Screw can be classified as trapezoidal, ball or threaded screw according to their profile. It is a high efficiency mechanical linear actuator which converts rotary motion to linear motion and vice versa. Together with a nut and their interface made by bearings, it composes the screw drive. Screws are used in many industries, they are able to apply or withstand high loads with a real minimum internal friction. They are particularly suitable to all applications in which high precision is necessary. 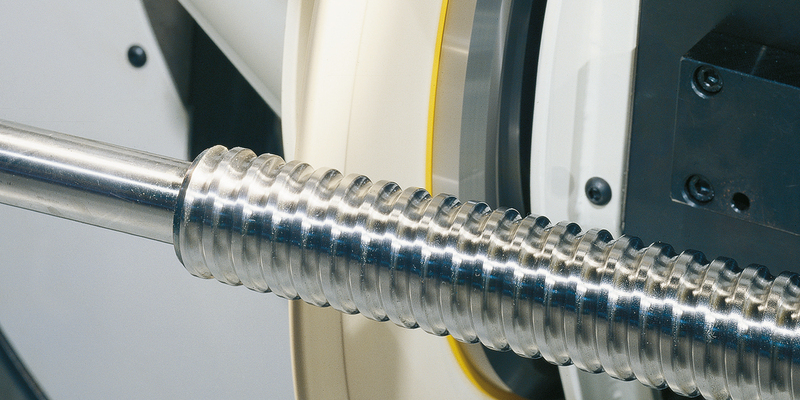 The main industries in which screws are mostly used are: machine building, aerospace, automotive and robotics. Thanks to the profile grinding technology, we are able to produce these workpieces in a very flexible way. We can grind the surface, the trapezoidal and threaded profile and the spline gear in one clamping. Moreover, with a tool changer in the machine, we can ground this part automatically with different grinding tools. The result is a reduction of the setup time. Samputensili has a long history in grinding technology, and we can ensure an efficient ball screw profile grinding, reaching a very high accuracy and precision.